The steering column can be fully adjusted to suit your individual driving requirements with the length and height adjustment newly redesigned. This extraordinary in-car sound system from the multi-award winning high-end Danish loudspeaker manufacturer Dynaudio features no fewer than 8 exceptional loudspeakers, all perfectly integrated into the interior - amplified by a 300-watt digital amplifier. The elevated seating ensures a commanding driving position. In addition, the large windows offer you excellent all-round vision. On the inside, the VW Sharan offers an elegant interior and contemporary, brand new upholsteries – you might even mistake the comfortable seating for your favourite sofa. Witness a wealth of high-quality materials, with refinements throughout and an enhanced driving experience assured every time you step inside. Our highest performance specification of Sharan is the SE BlueMotion Technology 2.0 TDI SCR 184PS 6spd Manual grade, offering an impressive 0-62mph acceleration speed of 9.3 seconds. If efficiency is more of a priority, then why not try the Sharan SEL BlueMotion Technology 2.0 TDI SCR 184PS 6spd Manual for size? It happens to boast a stunning Combined 55.4mpg*. Every journey is a pleasure... and it’s all thanks to the spacious convenience and luxurious comfort provided by the Volkswagen Sharan. Looking for a new family car? We like to make sure that each of our vehicles is tailored to the needs of the driver and their passengers. 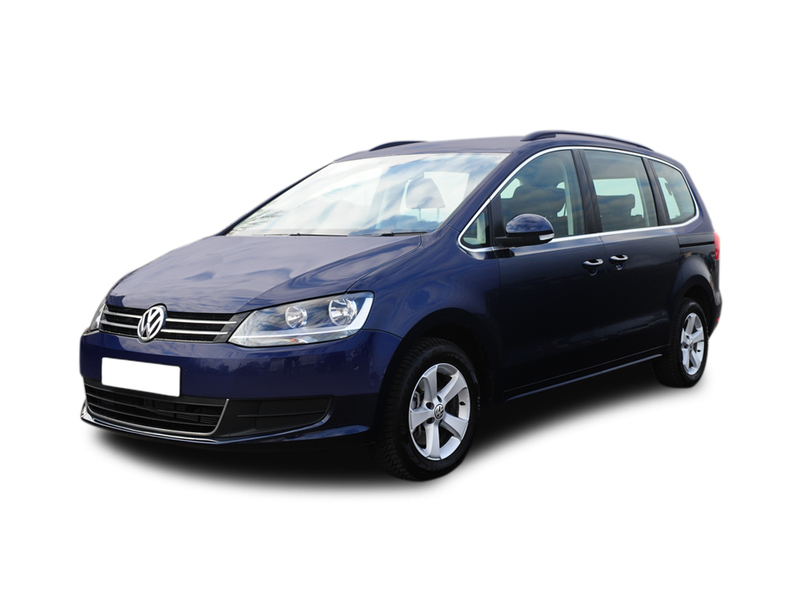 The seven-seat Volkswagen Sharan is designed for you AND the family, with all of your requirements accounted for. Extremely spacious for you, the family, pets and luggage alike – the Sharan features sliding rear doors and above all, offers practical solutions on the move. Let's get the details right... Select any additional options and accessories for your Sharan. This spacious MPV has space to transport you, the kids, their friends and all their luggage too. All models have rear sliding doors and come with either 7 seats (S, SE & SEL) or 6 seats (Executive).